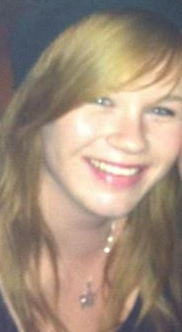 About the author: My name is Hayley Rawlings, I am 23 and from Wales. I have stammered for as long as I can remember but there have been times where I have been more fluent than others. I work as a support worker for individuals with autism and have found that my stammer has enabled me to be more empathetic in my job. Since attending the ELSA Youth Meeting this year, I have set up a young adults group in line with the British Stammering Association. I have done this in a hope to offer a more concentrated support line for stammerers between the ages of 18 – 30. If you would like to know anything else, feel free to ask. 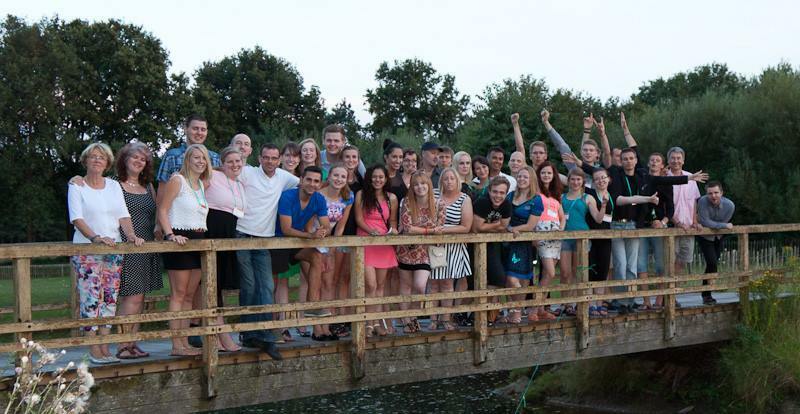 On the 19th – 25th of July this year, I travelled to The Netherlands for the 9th European League of Stuttering Associations (ELSA) Youth Meeting. This was a week for adults who stammer aged 18-28, from all over Europe, to come together and share experiences, support and memories. The week consisted of workshops, lectures, social media, filming and theatre. There was also plenty of time for socialising, dancing and lots of talking. Before I attended the ELSA youth meeting, I had only been receiving adult speech therapy for six months and I also attended a small local support group. I had met a previous member of ELSA youth meetings who encouraged me to apply as a result of his experiences. I was extremely apprehensive when I found out I had been chosen to attend because it was completely out of my comfort zone. I had never travelled on my own, I was worried about meeting new people and I was away from all of the people who made me feel ‘comfortable’. Even though I had felt all of these anxieties, I knew it would be a life changing experience as I had never really met anyone, of my age group, who stammered. So, in the end I got up and forced myself out of the front door and to the airport. When I landed I made my way to the meeting point of the others who were on the same schedule as me. There were 11 of us to start and after we had got the dreaded ‘introductions’ out of the way, we made our way to a café for a drink. As the waitress took our orders, one by one around the table we stammered. The poor lady was slightly confused but I could see for everyone around that table, it meant we had found finally others ‘like us’. This was the first, of many, moments during the ELSA youth meeting that I had truly felt comfortable and accepted. We spent the week at De Heische Hoeve, a log cabin in the middle of the Dutch countryside, with beautiful surroundings. It was a perfect place to free your mind of any worries and troubles at home. During the week we had lectures on our rights as a person who stammers and workshops on public speaking, assertiveness and conversation skills. We also attended theatre workshops on playing improvisation and creating as a group. In the evenings we were shown inspiring videos from Katherine Preston and Miss Montreal. As well as a guest speaker, Erik Lamens who is a film maker and made an emotional autobiographical film, To Speak, about his experiences. From meeting a film maker, actress and public speaker who all stammered, it was clear that our stammer should never hold us back from doing what we really want. I have never experienced an atmosphere so accepting and free before. I spent the week laughing, sharing stories and feeling as if I was part of the big ELSA family (which I still feel a month on). I also found parts of the week very emotional as I listened to other people’s struggles with their stammer. On a group exercise a question was asked, ‘who had dark thoughts regarding their stammer?’ In response every person, around 38, raised their hands. That moment and how I felt will stay with me forever because it made me realise that no matter how down your stammer can make you feel, there are others out there who are going through the same thing. Stammering can be a very lonely condition but the ELSA youth meeting took all of those fears away from me as I met friends for life. We had time for social activities in the form of tandem bikes, canoeing and a trip to visit a local mill. I also learnt so many things about other countries and cultures, we even had an Israelian breakfast one of the mornings, cooked by current members. I additionally learnt a few new things about the UK, from other members, which I probably should have known. Since returning from the youth meeting, I speak openly about my stammer to anyone and everyone. I had conversations with many of my friends who told me they were proud of me and even some who said I had inspired them to overcome a fear of a condition they had. I have accepted that my stammer is a part of me and I’m even thankful for it because I wouldn’t be where I am today without it. I have finally found the best therapy/technique, and that’s to meet others in the same situation as you. I then decided to get more involved with the British Stammering Association and set up a young persons group for people aged 18-30. I think it’s important to help people who stammer at a young age before they begin using avoidance techniques or have any psychological effects. I also personally found my stammer the most difficult when I left school, went to university, got a job, moved out and had to find my independence. Without the support I have received, from the BSA too, I wouldn’t have taken half of the steps I have done. Therefore I’m so passionate in sharing the feeling of support and unity. Because of the ELSA Youth Meeting, organizers and volunteers, I have learnt to treat my stammer as my friend and not my enemy. My world is now a much happier one thanks to these special people. Nice article Hayley and of course great FB group. Great to hear you have became so open: A really, really, really challenging step. I am intrigued about this first occasion at the cafe where you all met for the first time. It sound interesting. Can you tell me more about it? Hi Patrick, thank you very much! It is a challenging step but as you know, with the help of ELSA, we can do it. There was about 9 of us who met in the airport and then went on for a drink in a cafe. When it came to ordering our drinks we all stammered on ‘coke’, ‘tea’, ‘water’ ETC. The lady who was taking our orders looked very confused, especially because you don’t normally get this many PWS in one place. It immediately put everyone at ease though and seemed to break the ice. It was the first time that I had realised that we all have the same daily struggles, something as easy as ordering a drink can be a battle for us. For others around the table it could have been a bit awkward, especially if they had never really encountered a stammer before. But for me it brought a chuckle, a smile, acceptance and a memory I will remember for the rest of my life. What a beautiful piece of writing! First I want to thank you for sharing your story and being so open with your experience. You made a lot of insightful comments and seem to have a very positive outlook on life. I am currently in a masters program for SLP in the United States and reading about your experience gives me further insight and knowledge as a clinician but also just as a person. You did a very good job capturing moments in your piece, I can picture perfectly the moment everyone was out for a drink, and everyone stammered, but instead of it being a thing that made you different, it was a uniting force. This stammer that may have made you feel alone, was something that now made you a part of something bigger. What a beautiful moment to share! Also when you were speaking about “who had dark thoughts regarding their stammer?” and everyone raised their hand, it was a moment of belonging, a moment that infused your spirit, what a powerful thing. Can you tell more about the British Stammering Association? Are these groups linked globally or just by country? Also on a more personal note, did you ever receive treatment for your stammer? As someone who may treat fluency (stammering) clients someday, I’m curious about your experience with fluency therapy (if relevant). Were there things that worked really well and things that did not? If you could tell an SLP something to keep in mind when treating stammering what would it be? It sounds like you got a lot from just being around other people who stammer, and feeling like you weren’t alone was a profound realization in your life. Thank you again for sharing this wonderful essay! I’m happy to hear that stuttering is your friend now. It is very brave of you to put your story out there for people to see. It’s even braver to put yourself out there to people close to you like your friends. I think it’s wonderful of you to try to help younger people in their journey with stuttering and try to do for others what ELSA did for you. I really enjoyed reading your story. At ELSA, when you met other people who stutter from other countries, did you learn about any really different cultural perspectives on stuttering/stammering that you have not encountered before? I am so glad you decided to contribute an article. I am a fluent speech-language pathology graduate student. Your article along with the others written by pws is very inspiring! ELSA sounds like an amazing experience that every pws should experience. You mentioned that you have a support line for pws. Could you give me a little more detail about what that entails? Do you have a good amount of members? Do people share that it is helping them? Wow! It’s an incredible accomplishment to say you have created a young person’s group in association with the British Stammering Association! Congratulations! I am a graduate student working towards getting my master’s degree in Speech & Language Pathology. I am currently in a fluency class and we’ve discussed how difficult it is for people who stutter to talk about their stutter to other people. I think this ELSA youth meeting sounds wonderful and I am so happy that it allowed you to open up about your stutter and accept it into your life. Good luck on your journey and thank you for your story! Thank you for sharing that heartwarming story! It’s so uplifting to hear how you have turned your perspective on stuttering into such a positive one. You mentioned that ELSA included lectures and workshops, I am curious what types of activities you took part in during your time there? Being a graduate student working to become a Speech Language Pathologist, I am learning that helping an individual become more comfortable with himself or herself and accept who they are is a top priority. What advice would you give future SLP’s on how to assist those who are still struggling with gaining this perspective about themselves? Hi Hayley, it’s me again!!! Getting participants into setting up youth-groups in their own country was one of the main aims of this last meeting and I’m so happy you’ve succeeded in that in the U.K. Hopefully much more participants will be following in your footsteps soon. You know, if you ever need any support, please contact me or anybody involved in the last ELSA meeting! It is so awesome that you were able to find such support and personal growth at the ELSA youth meeting that you are now the one offering support to others who stammer. I cannot even imagine how empowering that must feel! I am really interested in your support group through the British Stammering Association. You mentioned early in the essay you had gone to a support group before the ELSA Youth Meeting, so I was just wondering if going through this experience changed the way you set up or approach your current group? I also think it’s great that your group has it’s own Facebook page and I was wondering if social media has helped you reach other young people who stammer who have not been to stammering support groups before? Thank you for writing this essay and sharing your positive outlook on stammering! I was very inspired to read about your experience with ELSA. At my university in Pocatello, Idaho the speech pathology department put on a two week intensive stuttering clinic. As a student clinician, I got to witness the dramatic transformation of our clients. At the beginning of the clinic, within group introductions were a struggle, but at the end some of our clients were laughing about the stuttering experiences they had together in the community. I’ll never forget one of the last times we ordered food at a restaurant and we all purposely stuttered (we used pseudostuttering to assist with self-disclosure and to reduce anxiety). The poor waiter was very confused, so we had to explain who we were and what we were doing!! I have learned a lot from people who stutter, not just about stuttering, but also about myself. I am encouraged to read of your willingness to be a leader in supporting other people who stutter. People like you are much needed in the world. I really enjoyed reading about your experience at ELSA. I think your story is in line with too many others, hiding their stutter for many many years. However, it’s great that even after so many years of struggle that finding a supportive community can be so life changing. My favorite part of your story is that you are passing it forward by creating a local support group. I hope that the group has the same lasting effect as the week long ELSA camp did. You stated at the very end that you now accept the stammer as a friend rather than an enemy. I am curious if there was a specific cause to this epiphany or if it was the effects of the camp in general. Thanks again for sharing your special story.